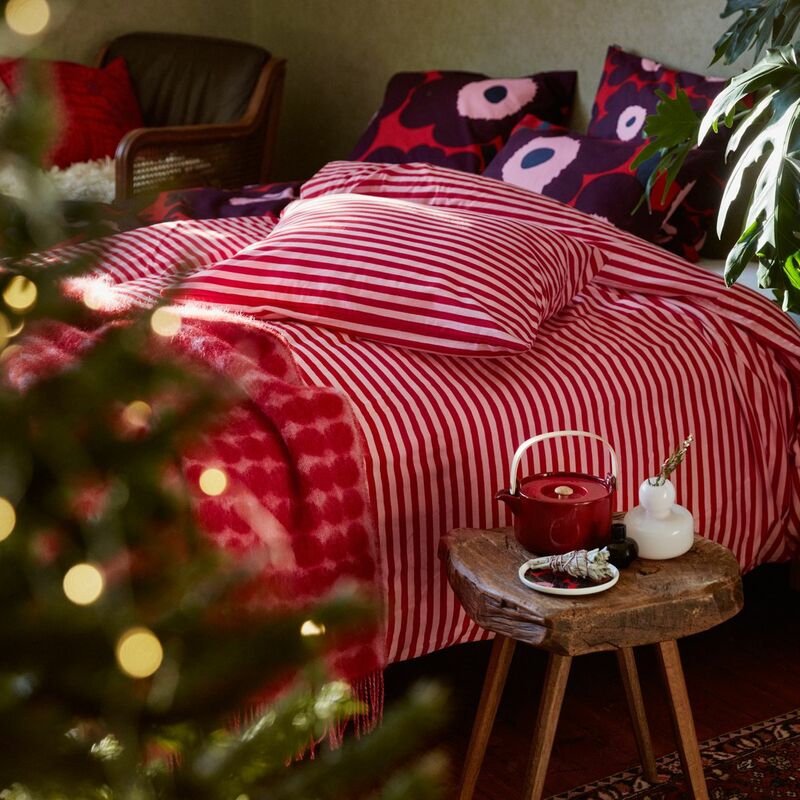 More about Marimekko Nasia Red / Violet Small Throw Pillow Nature was a source of inspiration for Maija Isola, and the Näsiä print was inspired by the shrub that rises early spring in Scandinavian countryside. The lilac plant takes on a festive color scheme paired with bright red. 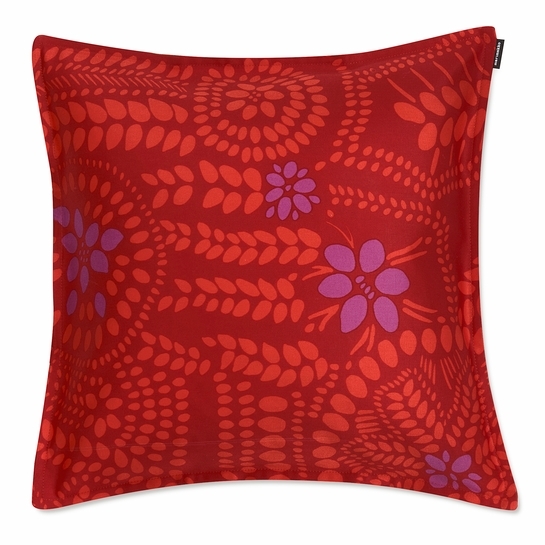 The 100% cushion cover it is printed on is machine washable, and easily removed from its insert for machine washing.